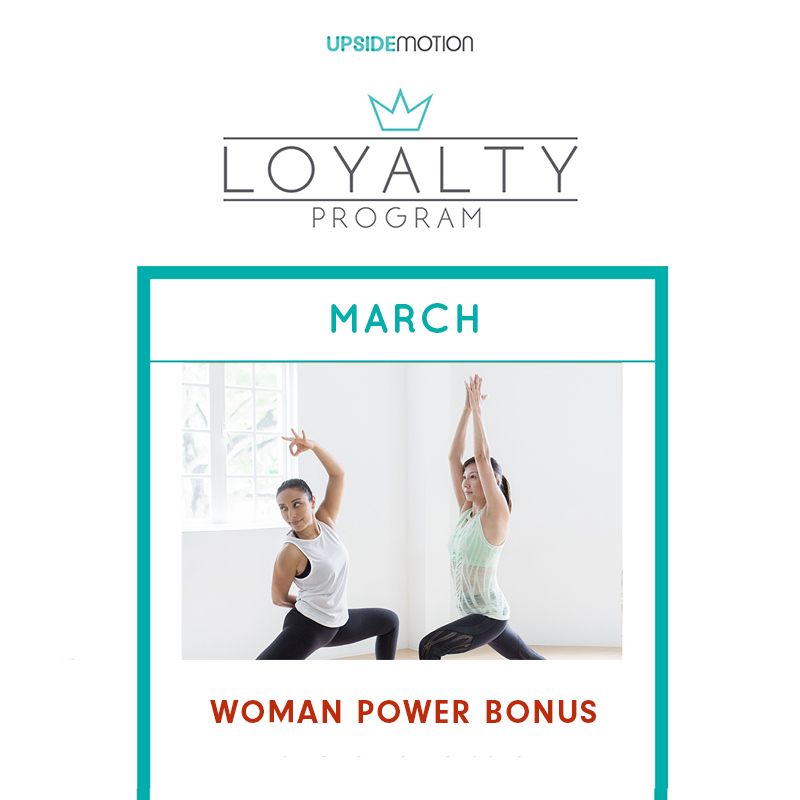 Celebrating International Women’s Day, Earn TRIPLE points (Total of 90 Upsider Points) when you attend 3 classes/week during the month of March. *The weekly bonus starts every Sunday. The bonus will be added at the end of each week (Saturday).